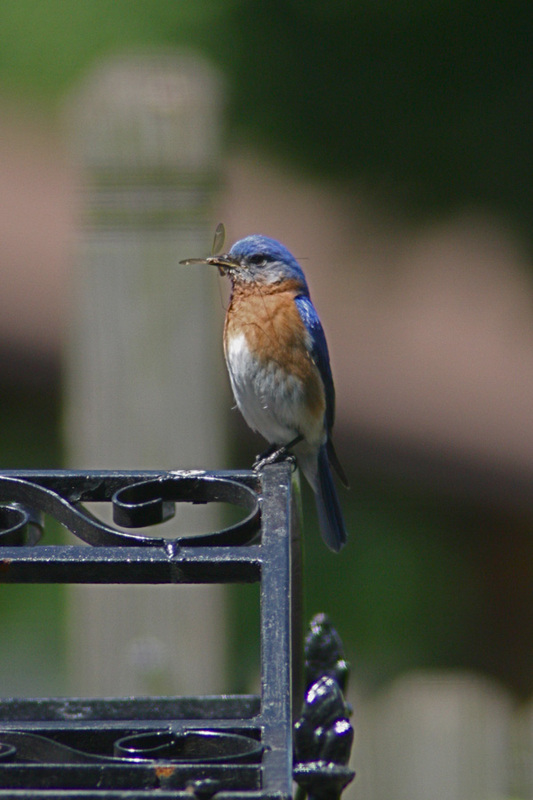 Bluebirds at the Nashville store should fledge in the next couple of days. Mom and Dad very busy feeding and we've noticed Dad bringing a variety of goodies like yummy mayflies (at least that's what I call them) and even offering the babies some mulberries for dessert !!! 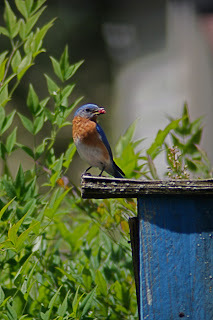 I love bluebirds. I have a bluebird house and the bluebirds have inspected it several times, but must have decided the rent is to high.